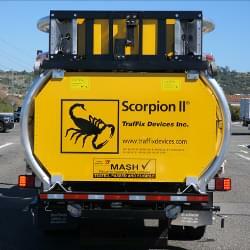 Don't just think your workers are protected while on the job site, know that they are with the Scorpion II TMA from TrafFix Devices. 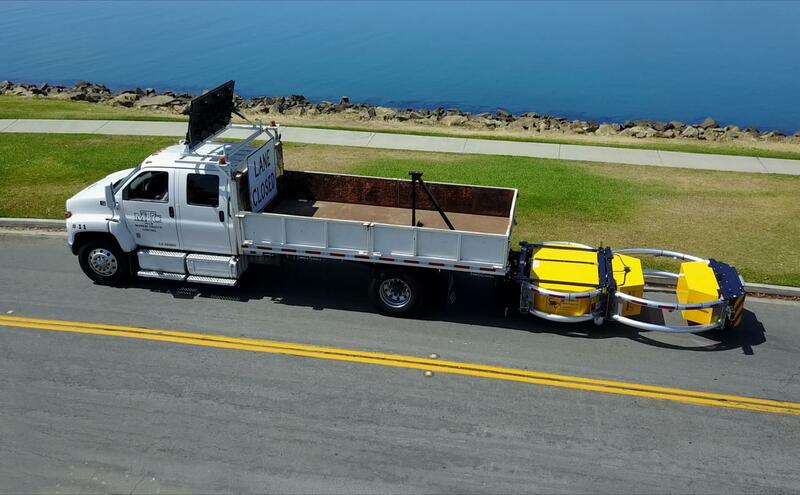 After 17 years on the road, over 2,000 documented impacts, and thousands of lives saved across the globe, the Scorpion TMA's Patented design is the safest and most reliable Truck Mounted Attenuator available today! The Scorpion II TMA consists of strut and cartridge sections that are linked together on a support frame. 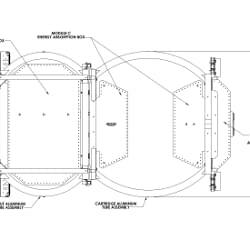 This open cartridge design reduces wind resistance and increases fuel efficiency when deployed on the job site and when traveling at highway speeds. Each energy absorbing cushion has an Aluminum honeycomb core that is enclosed by aluminum powder coated box module that provides maximum durability and longevity. The Scorpion II is equipped with omnivolt LED brake, directional, signal and running lights to further enhance advanced warnings to drivers. 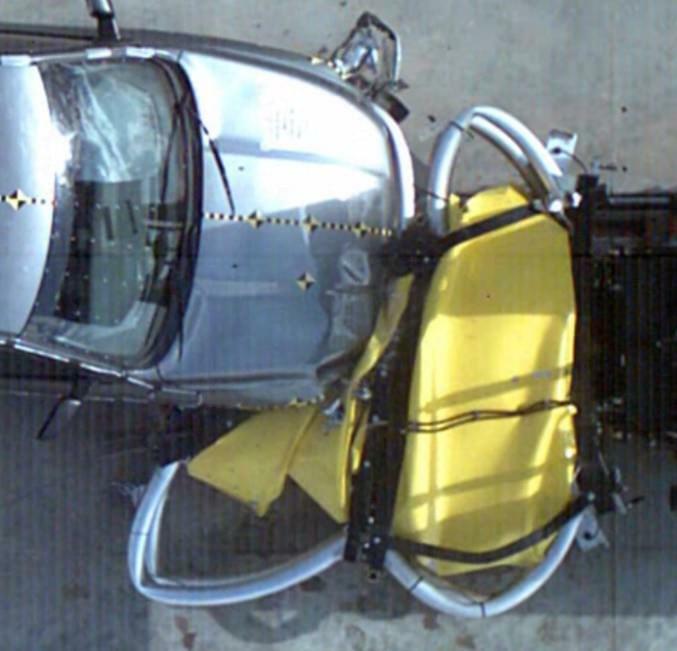 When impacted, the Scorpion's modular design crushes in progressive stages, which reduces the impact forces on the vehicles occupants and results in lower repair costs and easy parts replacement. 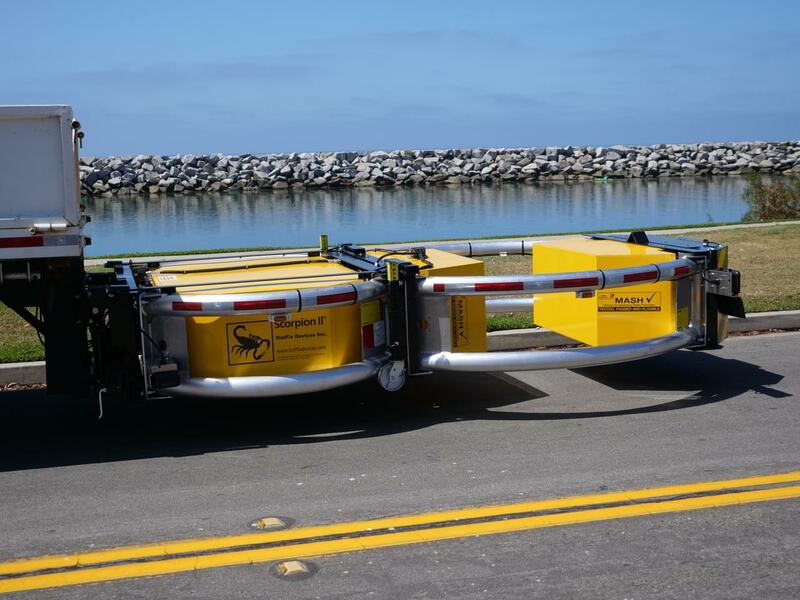 The curved side rails are made from corrosion resistant aluminum tubes and offer full width impact protection along the entire length of the Scorpion II by safely redirecting the impacting vehicle away from the deadly "coffin corners" at the rear of the truck. 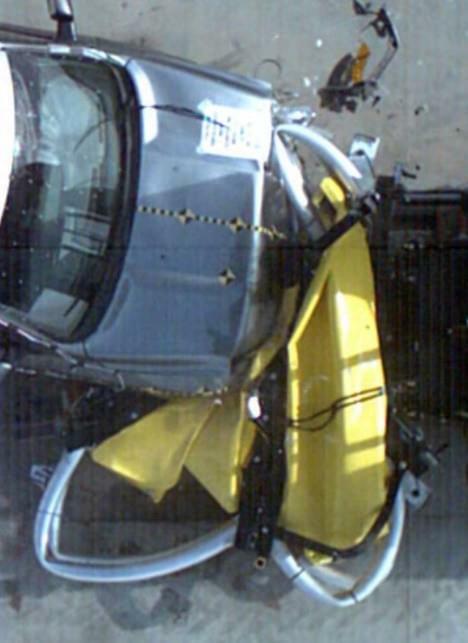 Unlike the Scorpion II, most other manufacturers Crash Attenuator models have little or no side-angle impact protection. 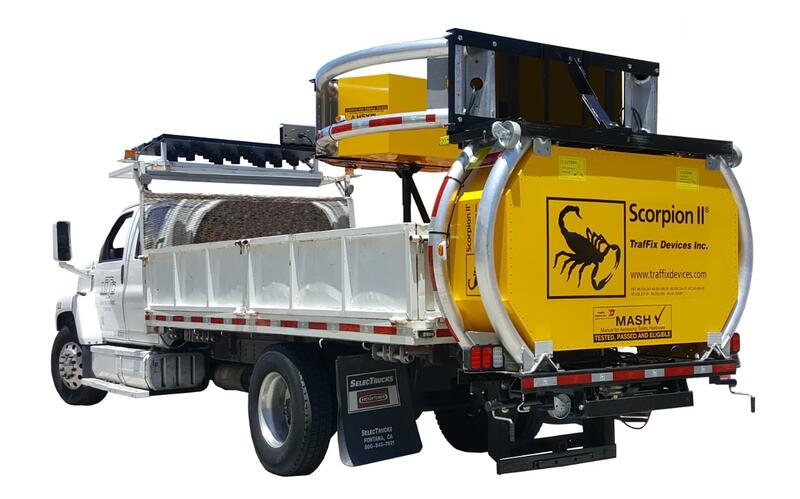 When fully deployed, the Scorpion II TMA is only 13' (4 m) in length, compared to other manufacturers units which are over 19' (5.8 m), thus giving the Scorpion II the shortest overall length of any MASH Eligible Truck Mounted Attenuator on the market. 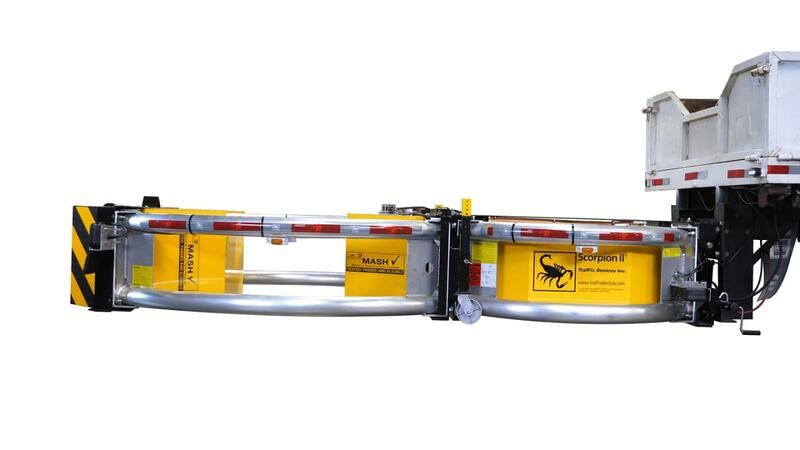 This shorter length reduces incidental impacts and repair costs while still providing the best safety and reliability you have come to expect from the Scorpion line of crash attenuators. 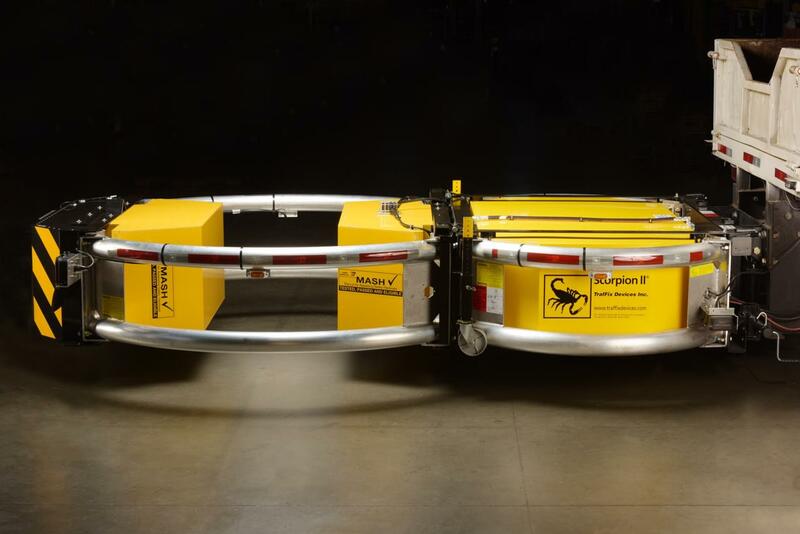 The Scorpion II is MASH Tested and Eligible with a minimum host truck vehicle weight of only 15,000 lbs (6,804 kg) with absolutely no upper weight limit. 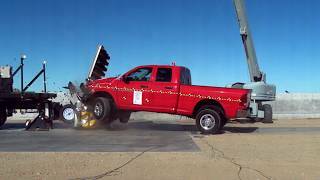 This is the widest range of host truck vehicle weights of any MASH Tested and Eligible Truck Mounted Attenuator currently on the market. 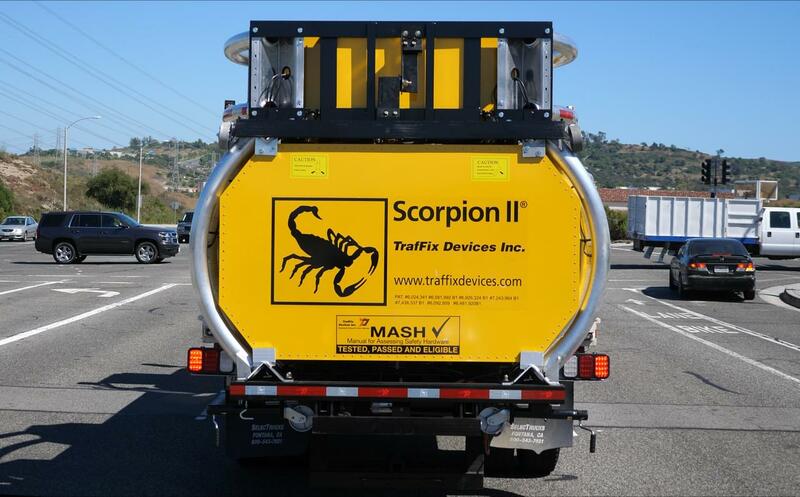 The Scorpion II TMA is the world's first Truck Mounted Attenuator eligible for MASH, TL-3 tested at 62.5 mph (100 kph); see FHWA Eligibility Letter CC-132 for details. 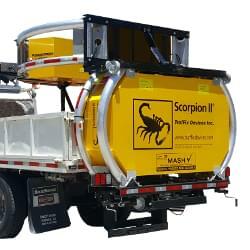 Additionally, the Scorpion II TMA is compatible with the Doctor Air Brake® automatic braking system that instantly locks the brakes of the host vehicle upon impact, further protecting the driver of the TMA truck, occupants of the impacting vehicle, and any bystanders or workers near the crash. 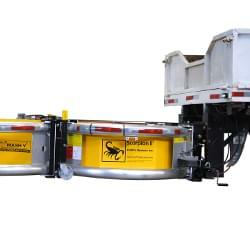 The Scorpion TMA Model C folds up and over the bed of flat bed, stake bed, or dump trucks. The Model C with its compact design and balanced weight distribution makes it ideal for high-speed travel. The Scorpion TMA Model C provides TL-3 impact protection. Side mounts are also available. 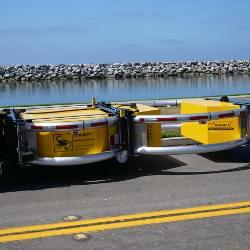 The Scorpion II Truck Mounted Attenuator (TMA) is a mobile crash cushion attached to the rear of a support vehicle's frame. 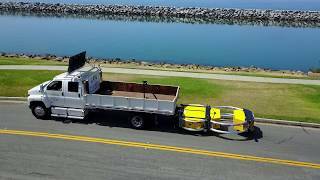 The TMA may be used on moving shadow trucks, stationary block vehicles, or advanced warning vehicles upstream of a moving or stationary operation. 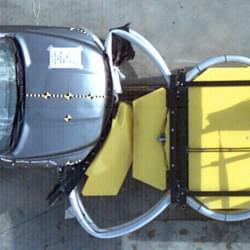 The TMA is tested, passed and eligible to MASH TL-3 (62.5 mph / 100 kph). 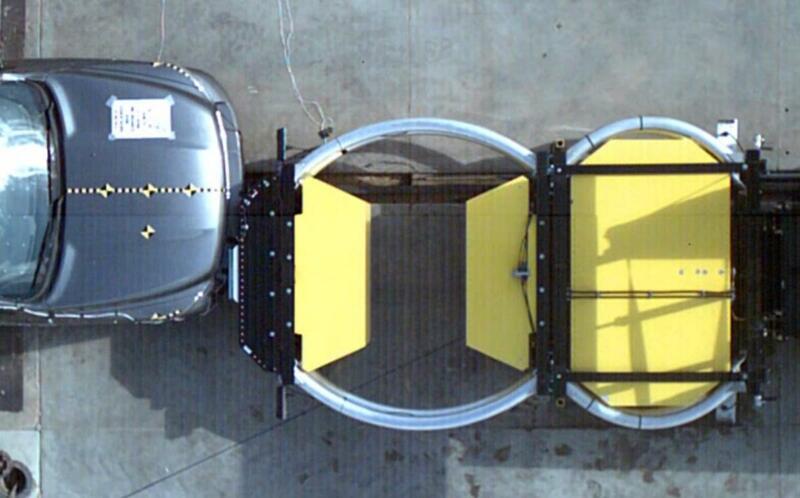 The TMA can be used on support vehicles with a minimum actual/curb weight of 15,000 lbs (6,804 kg) with no upper weight limit (infinite weight). 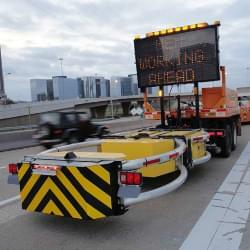 Lighting consists of LED brake, directional, signal and running lights for enhancement of advanced warning to drivers. 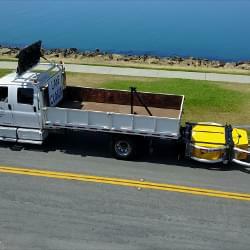 The TL-3 TMA has an overall dimension of 12.94 ft. (3.9 m) × 8.0 ft (2.4 m) × 2.0 ft (0.6 m) and has a ground clearance of 12" ± 1" (305 mm ± 25.4 mm) when deployed in the horizontal operating position. 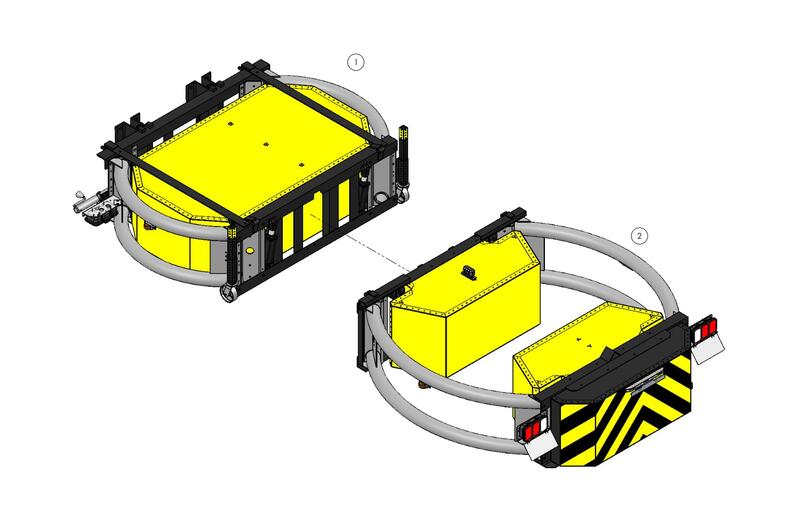 The Scorpion II TMA consists of three (3) main components: Strut, Cartridge, and backup/diaphragm frames. 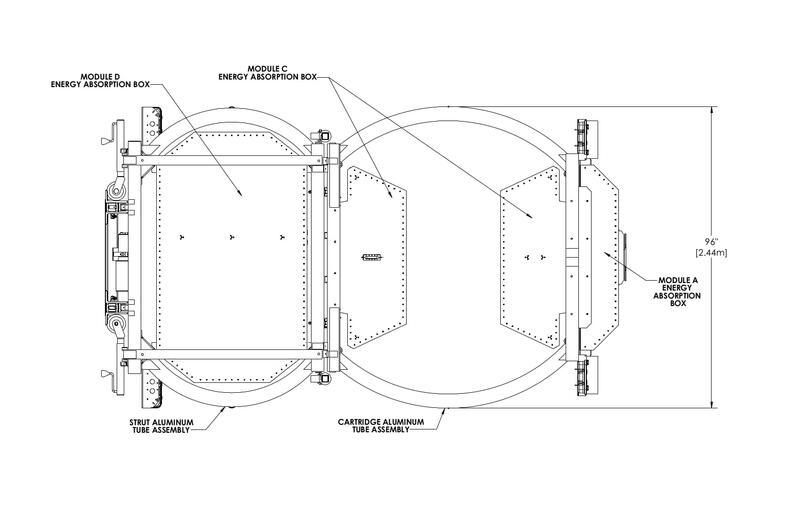 The Strut and Cartridge are the energy attenuation components. 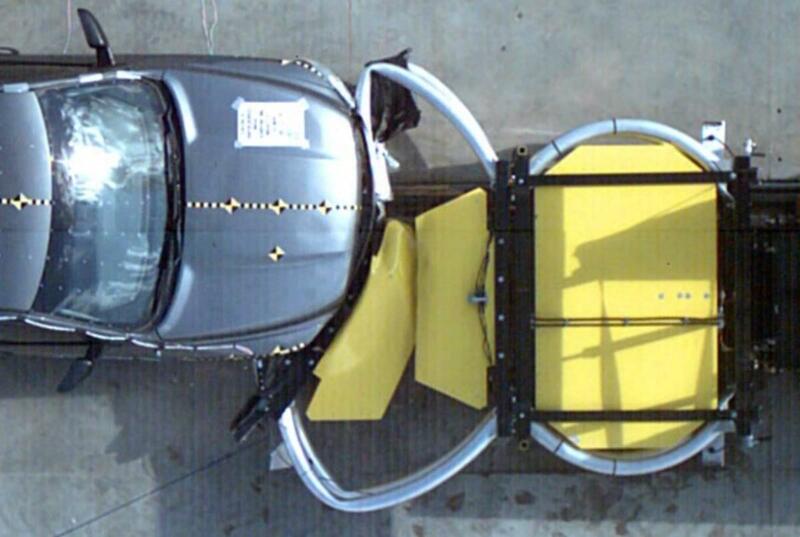 The Strut is positioned nearest to the support vehicle and the Cartridge is positioned furthest away from the support vehicle. 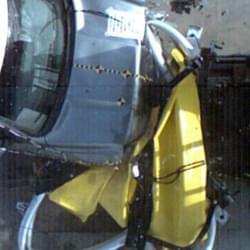 The Cartridge is typically the first component impacted by an errant vehicle. 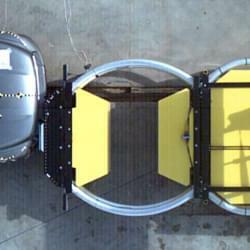 The Strut consists of four (4) outboard convex aluminum tubes (two on each side) forming an aluminum structural weldment. 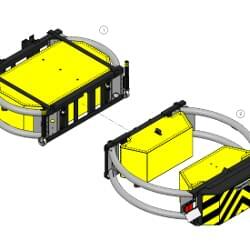 The aluminum structural weldments bolt to a structural steel diaphragm/backup frame. 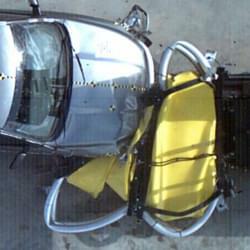 The TMA can be rotated in a double 90° fold position over the support vehicles bed with a stored height of less than 12' 5" (3.8 m). 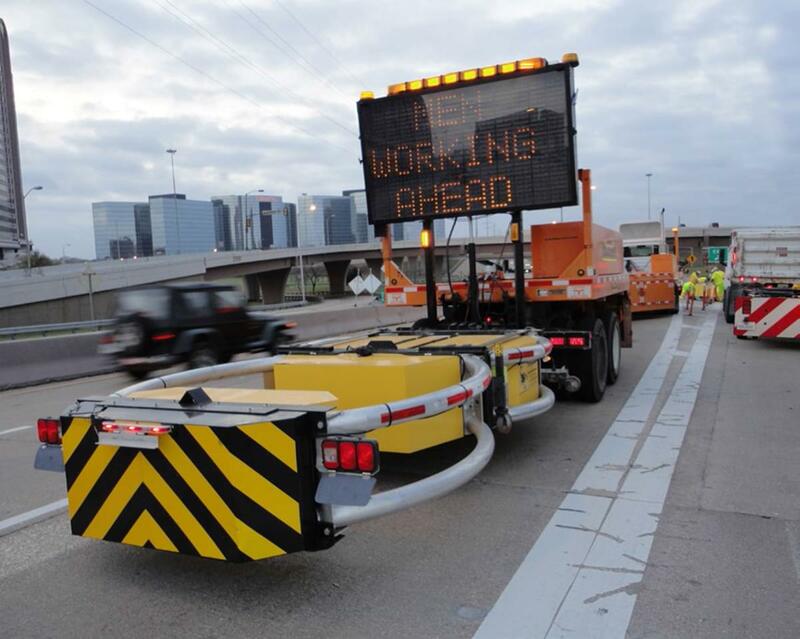 An optional hydraulic powered vertical lift can be utilized with the TMA to deploy a display panel when the TMA is lowered into the use position. 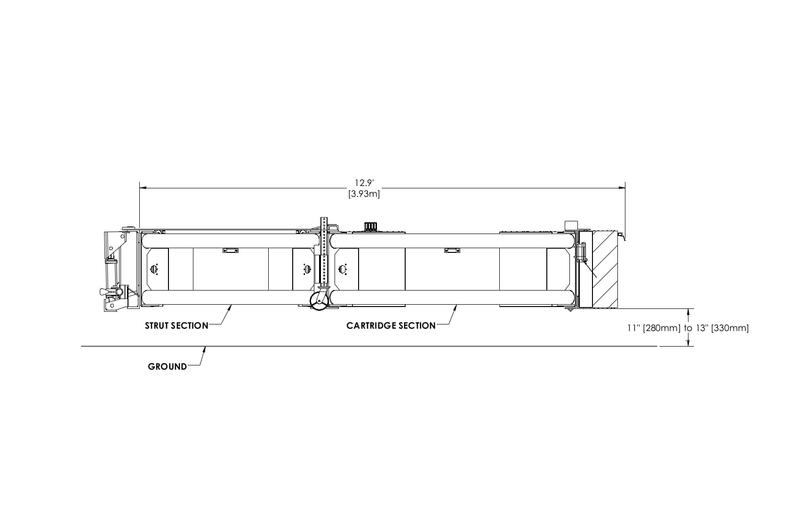 The vertical lift is powered by the same on-board hydraulic system that rotates the TMA into the travel/storage and deployed positions. 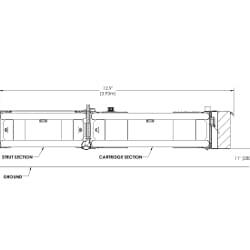 The vertical lift is sequenced to raise and lower a panel for displaying advanced messages, directional indicators, or other notifications.